In my dream home, we have a hallway dedicated as a mudroom. And not because we live in a rainy section of the hemisphere, but because we have four kids and need a space to effectively organize our daily activities. Read: Keep mom sane as we run out the door each morning. But you don’t have to have multiple children to desire the organization that a mudroom brings to your life, nor do you have to live in a cold and wet climate; a mudroom is simply another space to keep your daily flow of life in check. Don’t waste any space in your mudroom. Utilize every square inch for storage and organization. In the event you have a larger space to work with, divided floor space under your bench allows for shoes and other large – and potentially wet or dirty items – to store safely out of the way. Dividers are an easy way to keep the mess from becoming cluttered. If your space is limited, doesn’t allow for the size you need to build a built-in, or if you are renting your current home, you can create a mudroom with separate furniture pieces. A bench, bench system, individual hooks, shelves and organizers can all be measured and pieced together along an entry hall, in a garage walkway or space just inside the entrance to your home. You can even transform a closet into a makeshift mudroom! Mudrooms do not have to be hooks, benches and shelves, depending on your budget, style and even theme (for instance if you have all boys and will be storing sporting equipment, like myself), you can get creative with your storage solutions. Wire baskets are durable and perfect for sporting equipment, pet essentials and would look amazing in a rustic, sports or minimalist style home. Even the smallest space – like behind an entry door to the home or garage – can be made into a small mudroom. Hooks positioned at multiple levels create added storage and allow for adults and children to be accountable for their own items–or you do a mudroom that is just the right size for the kids in your home. Mudrooms get dirty no matter where you live. 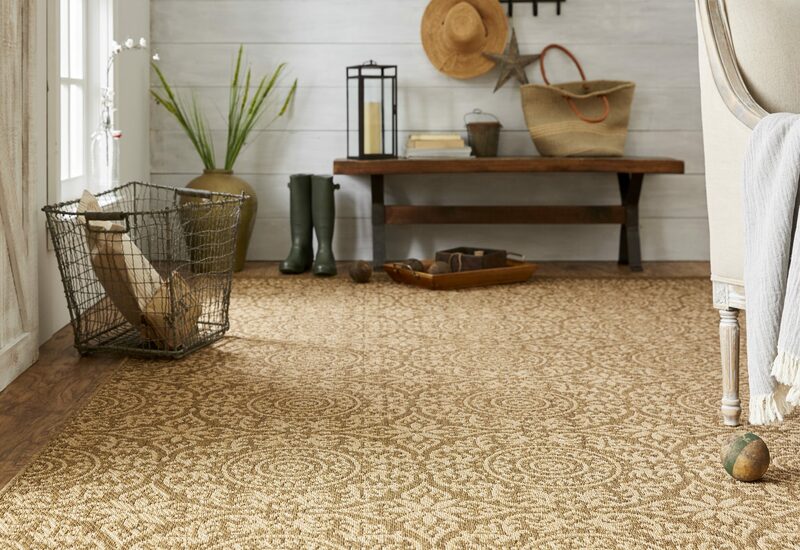 I strongly suggest a durable, high-traffic area rug or mat that is easy to clean. That way you’re not constantly treating and cleaning carpet or floor coverings. Do you have other mudroom must-haves? Share in the comments!